A bad remark is that the college offers no placement, the placement should be found out by ourselves. Rest everything is fine. 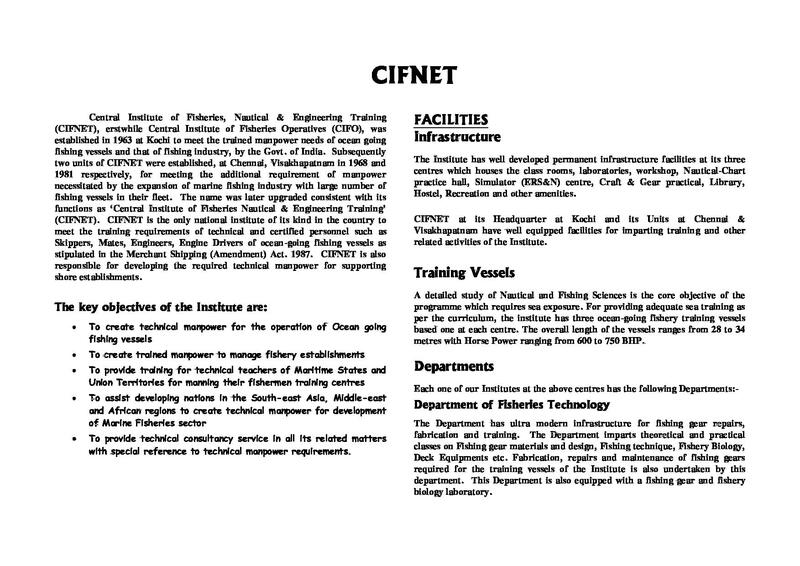 Central Institute of Fisheries Nautical and Engineering Training (CIFNET) was established in the year 1963. 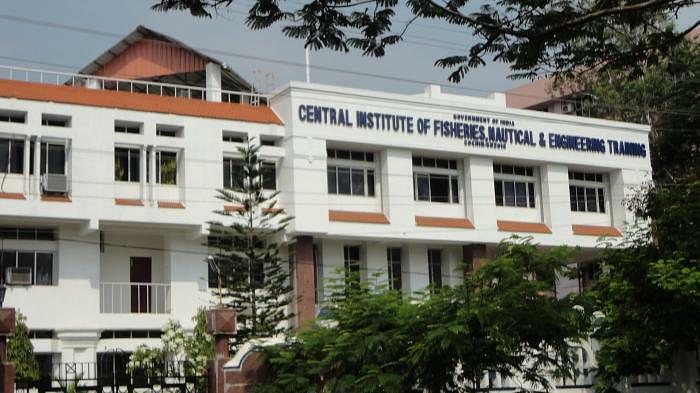 It is maintained by the Department of Fisheries and Animal Husbandry of the Government of India. 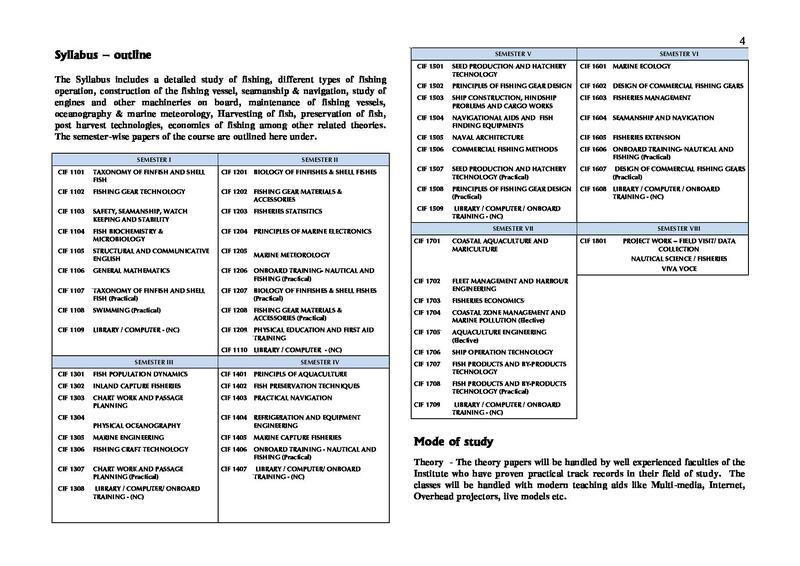 It is affiliated to Cochin University of Science and Technology and approved by University Grants Commission (UGC). 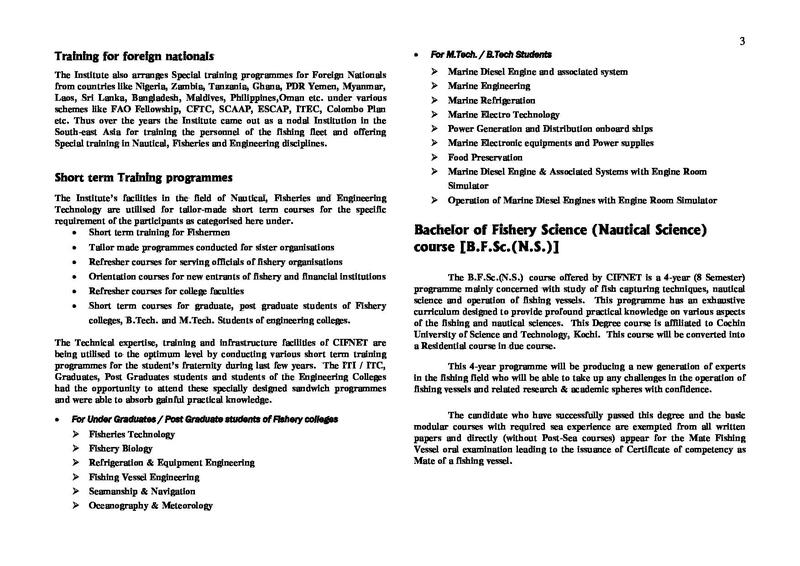 It offers Bachelor of Fisheries Science (BFSc) programme. 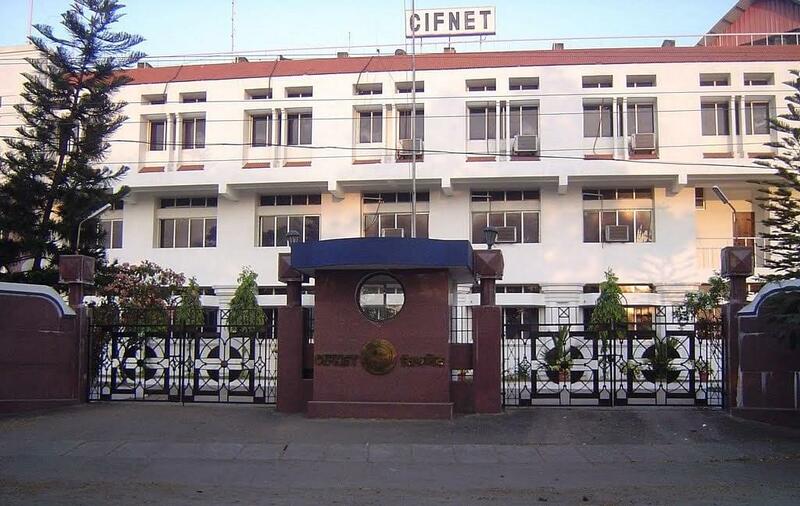 The faculty is highly qualified, dedicated and experience in their field of education. 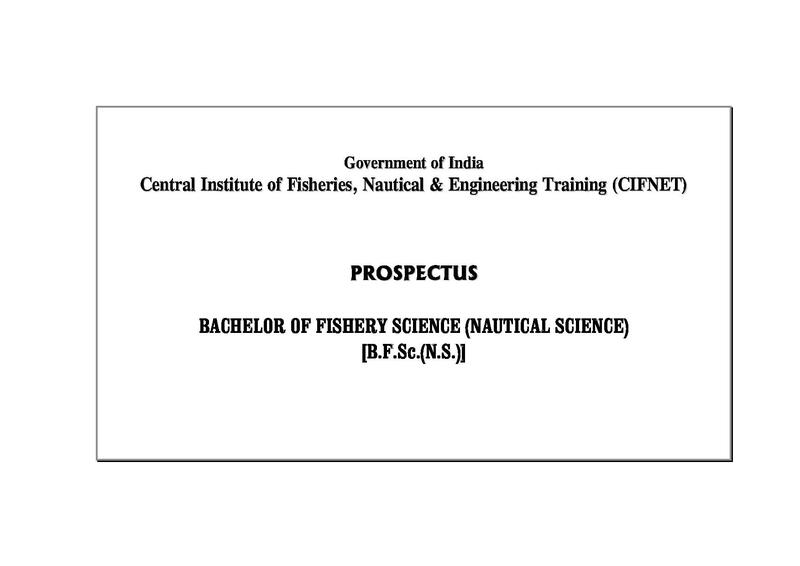 The objective of institute is to create technical manpower for the Ocean going fishing vessels. The college provides On-board training to the students during the course of study. 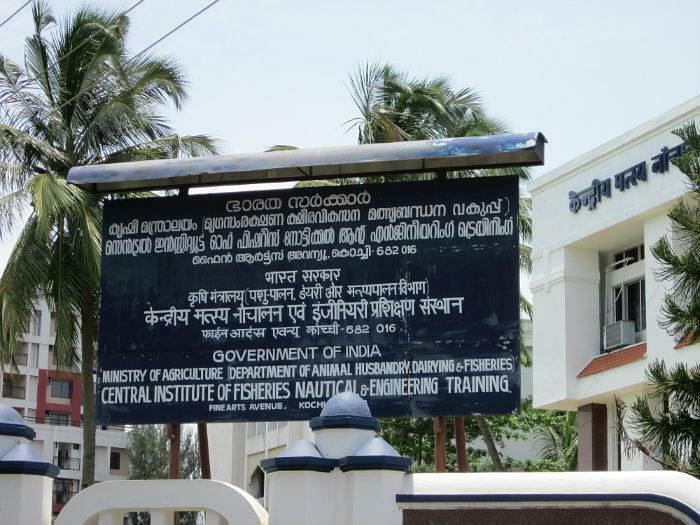 The institute has all necessary facilities like class rooms, laboratories, workshop, Nautical-Chart practice hall, and Simulator (ERS&N) Centre, Craft & Gear practical, Library, Hostel facility, Recreation and other amenities and boy Hostel facility within the campus will be provided according to the availability only.